The origin and purpose of this bullwhip is not known yet. As it is very heavy and fluid, it seems to be a whip for use. 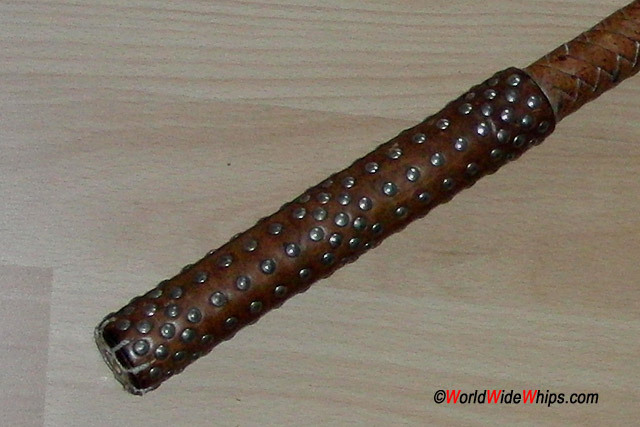 The handle has a sewn leather cover decorated with studs for a sure grip and nice appearance. The fall construction is similar to that of a Hungarian whip. Probably this bullwhip was made somewhere in Eastern Europe.